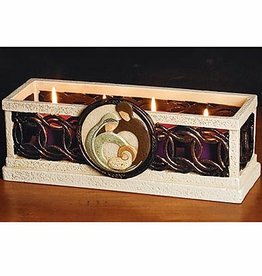 Candleholder is crafted of resin with cut-out knotwork detailing. 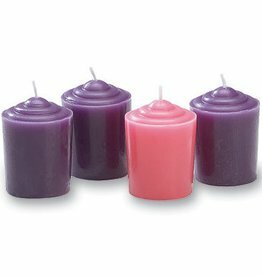 Holds four colored glass candle cups, with votives included. Advent pamphlet also included. Styrofoam packed in protective box. 11 3/4" x 4 3/4" x 4". 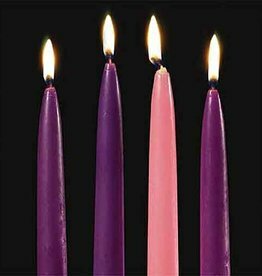 Set of four (three purple, one pink) 10 x 3/4 candles are the perfect fit for your Advent wreath. 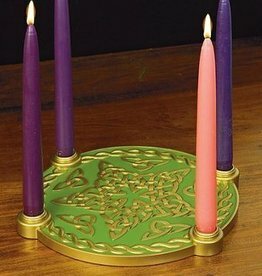 Celebrate Advent with our Pewter Celtic Knot Advent Wreath! Features Celtic Knotwork and Shamrock detailing. 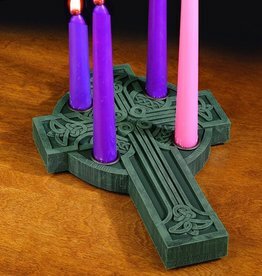 Celebrate Advent with our Star Celtic Knot Advent Wreath! Features beautiful gold Celtic Knotwork on a green base. 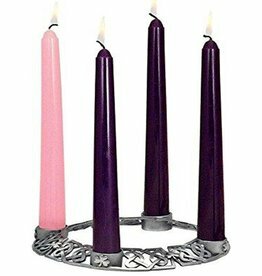 Comes with four 10” Candles. 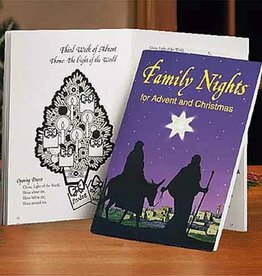 This booklet by Terry and Mimi Reilly is an excellent tool families can use to celebrate Advent and strengthen loving bonds at home. It adds special meaning to the holiday season! Printed by Abbey Press. 5 x 7. 32 pages.